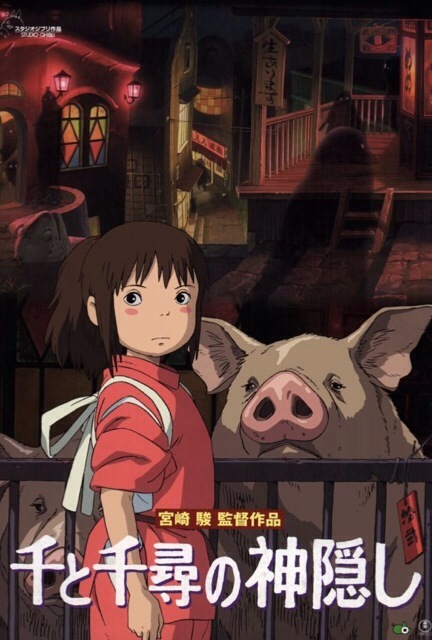 The plot centers on a goldfish named Ponyo who befriends a five-year-old human boy, Sōsuke, and wants to become a human girl. 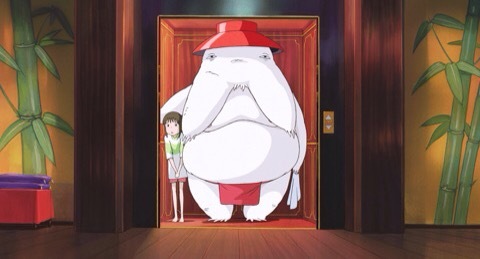 Ponyo is very cute. Cutesy cute! Cute is a funny word, isn’t it? 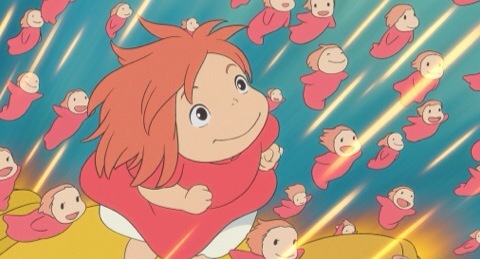 Like with Kiki’s Delivery Service & My Neighbor Tororo, Ponyo is a very kid friendly Studio Ghibli film. 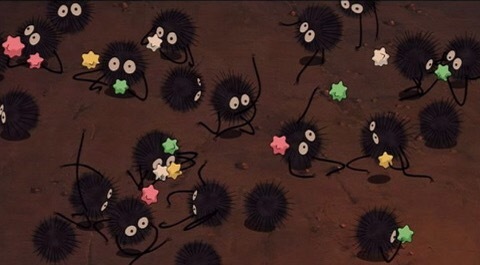 I’d say it’s actually aimed at the youngest age range of all as the two main characters are very young but it’s far more strange than Kiki’s Delivery Service so it MAY not be as popular with kids as that one. I guess it depends on the kid and if they like unusual stories or not. 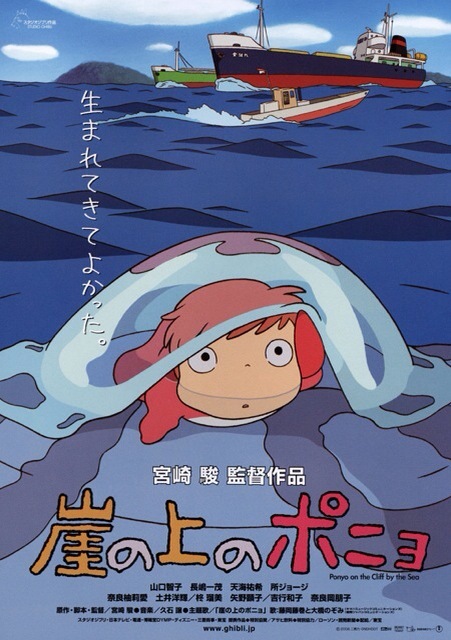 Ponyo is an adorable little goldfish who longs to be human, especially after tasting human BLOOD! Lol. (No, really…). 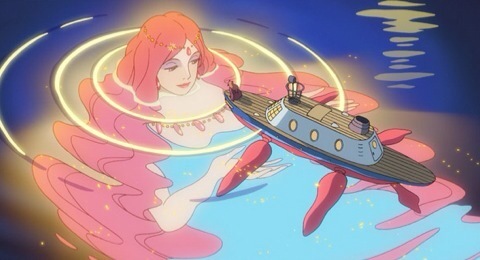 Basically, her father is human but, I think, magic or something so he now lives under the sea with all his “fish children” he had with some sort of huge Goddess of the Sea. 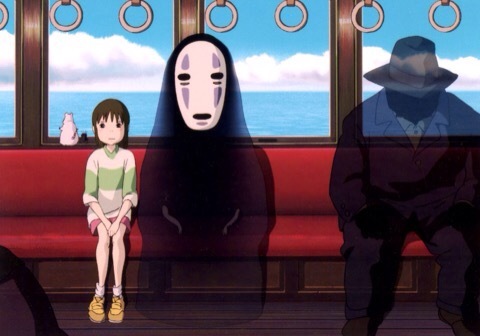 Or… Something like that. Am I selling this to anyone yet?! 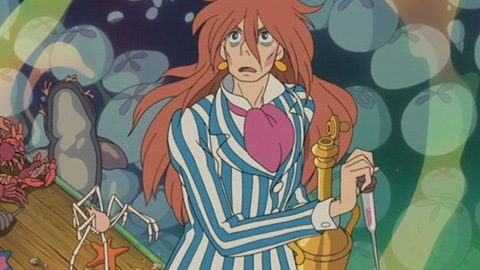 So… Ponyo’s father, who’s this weird cross between David Bowie & Alice Cooper, doesn’t want Ponyo to become human but she loves a little boy named Sōsuke who helped her & took care of her when he found her stuck in a bottle in the sea. 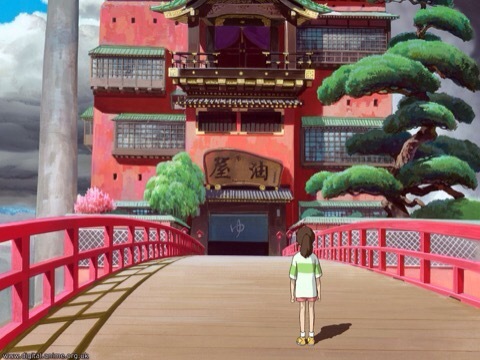 She wants to be human & live with Sōsuke. I haven’t really said much about this one. It’s a hard one to describe. It’s odd but also very sweet & innocent. 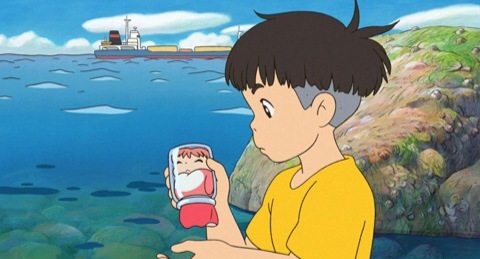 It’s about unconditional love (Sōsuke must prove that he can love Ponyo whether she be a fish or human). 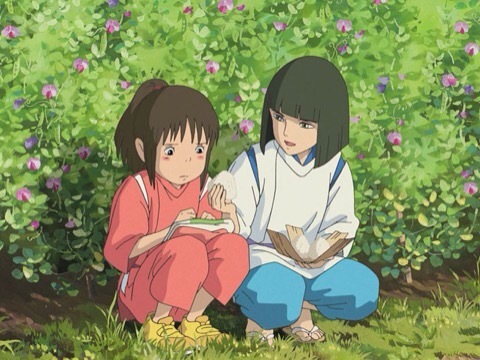 I think young kids will love both Sōsuke & Ponyo and will just roll with the slightly odd story as young minds are usually more open to these sorts of things. 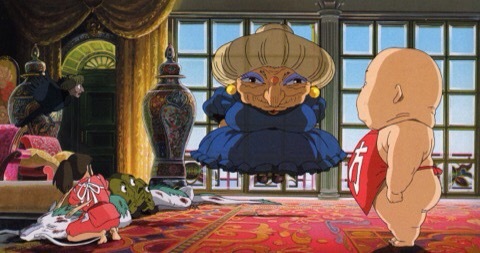 It’s really not much more odd than a lot of Disney fairy tales. 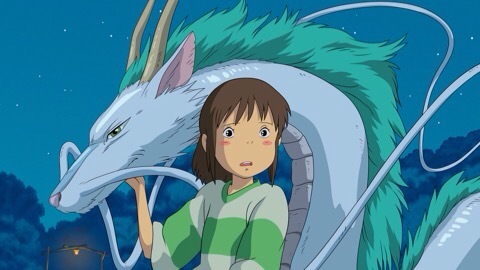 I do recommend this one to kids & to adult Studio Ghibli fans. 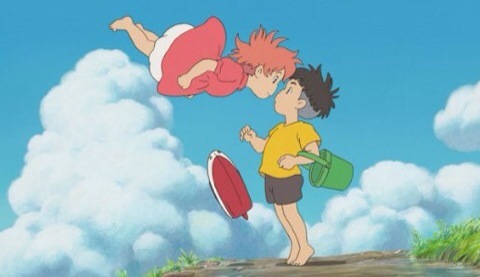 Of all the Ghiblis, it’s definitely the most “sweet” and it’s hard to not like Sōsuke & Ponyo and seeing a love so pure.